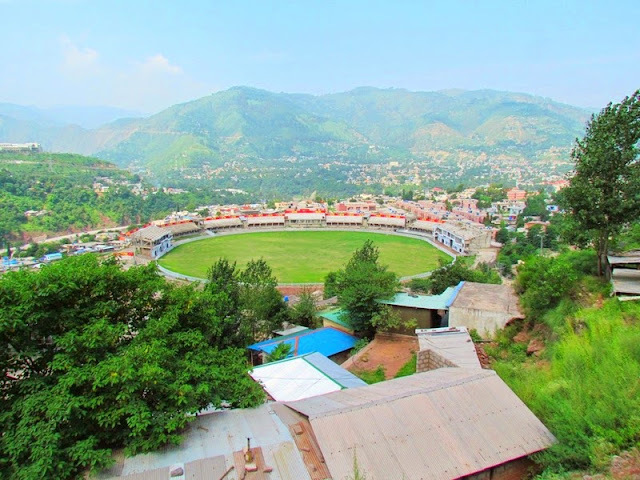 There are more than 25 prominent stadiums in Pakistan that are used for cricket, hockey, football and other sports activities. 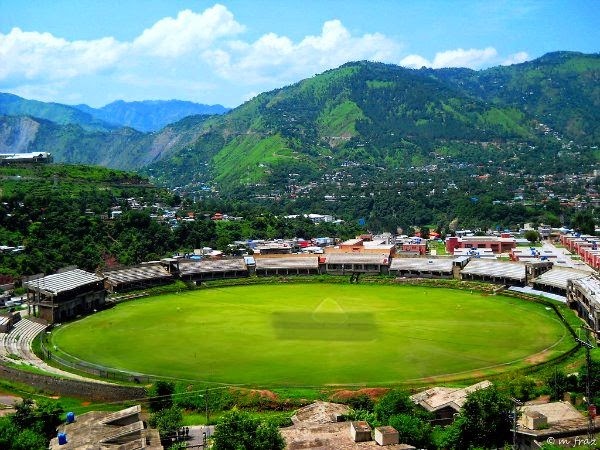 But since international cricket and other sport activates have been badly disturbed for past several years, development of most of these stadiums is not on priority neither there are determined plans of constructing new state of the art stadiums. But being optimistic, some of the current stadiums, upon viewing from above, gives an amazing view. 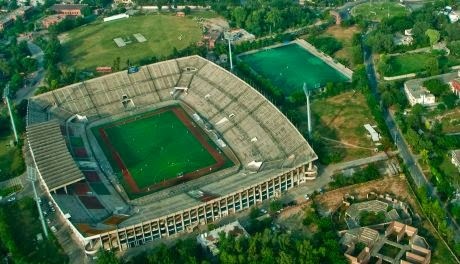 Following are pictures of some of the most attractive stadiums of Pakistan that look even more amazing in aerial views. 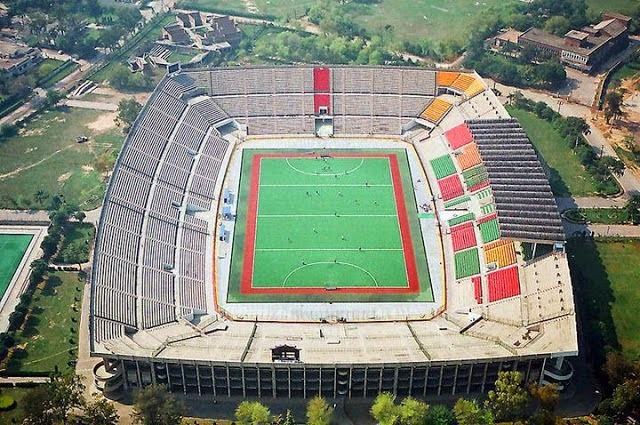 Lahore's Gazafi Stadium was constructed in 1959. It used to have a capacity of 60,000 spectators, until recent renovation brought down the capacity to 27,000. National Hockey Stadium is also known as Qazafi Hockey Stadium. It is biggest field hockey stadium in the world. It has the capacity of 45,000 spectators. 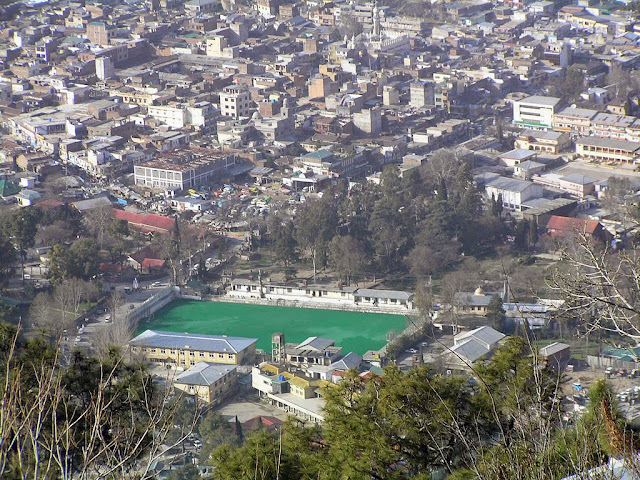 Abbottabad Hockey Stadium is a large Field Hockey stadium in Abbottabad, Pakistan. It is currently under development and for that reason, No international matches have taken place at the ground yet. 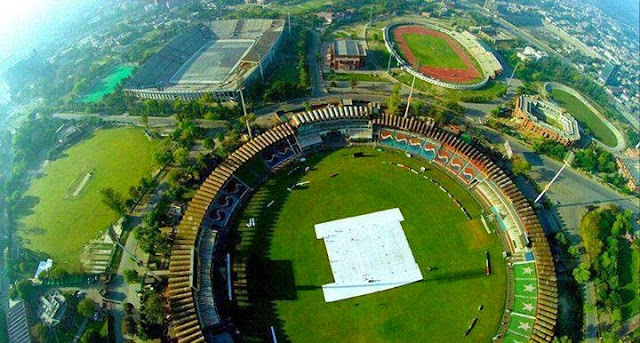 Jinnah Sports Stadium is a multi-purpose stadium in Islamabad and it is mostly used for football matches. It was built in 1970 and it hosted SAF games in 2004 too. 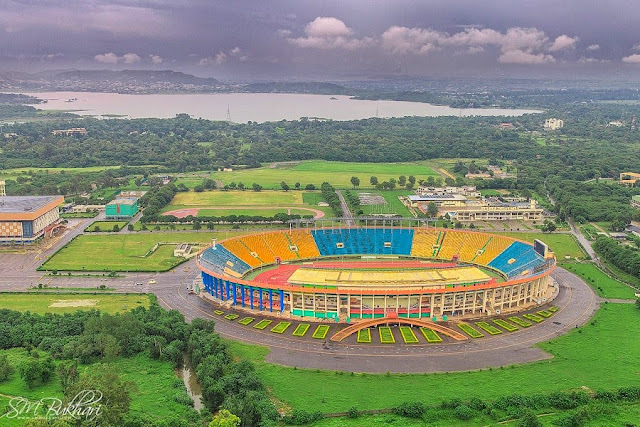 It has a capacity of 48,000 spectators. 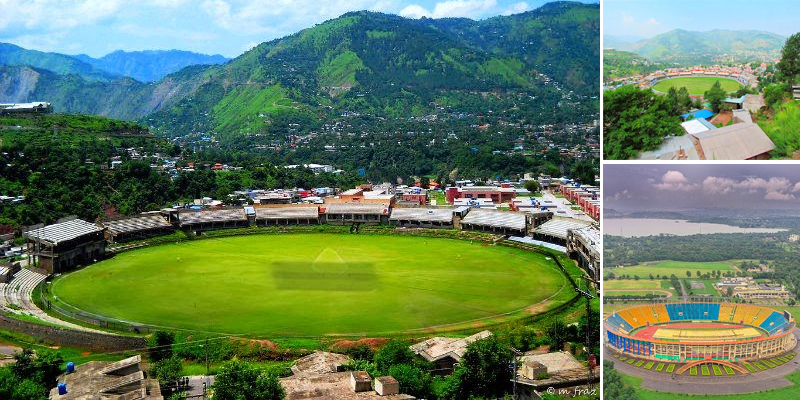 Look at the views, it could have been one of the most beautiful cricket stadiums of the world if given proper care. 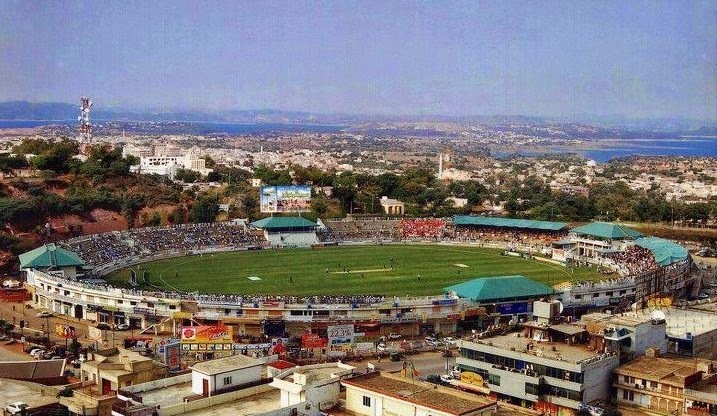 Mountains of Kashmir, Mangla Lake view, Quaid-e-Azam Cricket Stadium gives a stunning extravaganza. It can attract international cricket upon appropriate development that is needed badly.